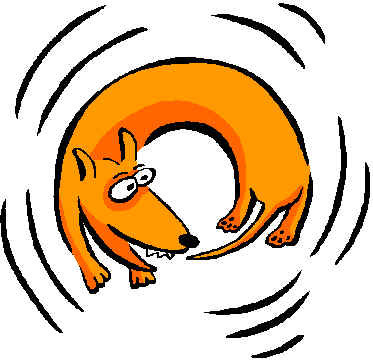 NRC’s Post-Fukushima Response: Going in Circles? One of the most important tasks before the Nuclear Regulatory Commission (NRC) today is moving forward quickly on implementing the safety improvements recommended by its Fukushima Near-Term Task Force, and considering additional safety enhancements that have been identified by the NRC staff. For a while it appeared that this was actually taking place. Following the October 20 release of a vote of the 5-member Commission, a press release stated that “The Nuclear Regulatory Commission has directed the agency’s staff to begin immediately implementing seven safety recommendations from the NRC’s Near-Term Task Force on lessons learned from the reactor accident at Fukushima.” These seven safety recommendations were categorized by the staff as actions that could be taken “without delay.” They include a crucially important upgrade to the requirements for nuclear plants to be able to cool the reactor core and spent fuel during a station blackout—when there is no AC electrical power. Such a “station blackout” resulted from the tsunami in Fukushima and led to the reactor meltdowns. However, the Commission took a step backwards in a second vote on December 15. The Commission has now reserved for itself the future right to reject any of the safety upgrades the NRC staff is now working to implement, even though it originally instructed the staff to implement them without delay. According to the NRC regulation known as the “backfit rule,” if the Commission decides that a proposed new regulatory requirement is not needed for “adequate protection,” then it cannot be adopted unless it passes a cost-benefit test. And since the guidelines for how the NRC conducts cost-benefit analyses are rooted in a pre-Fukushima way of thinking, there is little chance that any regulatory action based on a post-Fukushima understanding of risk would pass the test. One of the Fukushima Near-Term Task Force’s recommendations is to modify emergency planning guidelines to address the potential for multi-unit accidents. Yet the analyses that would be used to assess the risk reduction associated with this upgrade are based only on single-unit accidents. So in effect, the current framework assumes that the risk of a multi-unit accident is so small that it is essentially zero, and does not consider the potential for a single event to affect multiple units. Therefore, there would be virtually no risk reduction associated with the emergency planning upgrade and it would fail the cost-benefit test. One might think, therefore, that the NRC should modify its cost-benefit analysis guidelines to incorporate lessons learned from Fukushima before using such an analysis to assess the costs and benefits of the other recommended upgrades to safety requirements. Indeed, the Near Term Task Force considered development of a new post-Fukushima regulatory framework to be its top recommendation. However, the Commission ordered the staff to put such an effort on the back burner, effectively leaving it to be resolved only after all the other recommendations had been addressed. This has created a pattern of circular reasoning that could endanger the implementation of all the other proposed actions, and could leave the NRC chasing its tail for years to come. The Task Force notes that, after the attacks of September 11, 2001, the Commission established new security requirements on the basis of adequate protection. These new requirements did not result from any immediate or imminent threat to NRC-licensed facilities, but rather from new insights regarding potential security events. The Task Force concluded that the Fukushima Dai-ichi accident similarly provides new insights regarding low-likelihood, high-consequence events that warrant enhancements to defense-in-depth on the basis of redefining the level of protection that is regarded as adequate. However, instead of modeling its post-Fukushima response on its response to the 9/11 attacks, the Commission is holding the sword of Damocles over each proposed new safety requirement. Each will take months to years of NRC staff time to develop, yet will be subject to the whims of the current or future Commissioners. This uncertainty has created a process that is at best highly inefficient and at worst a recipe for many years of inaction. The vote was quite lopsided. NRC Commissioners Apostolakis, Magwood, Ostendorff, and Svinicki all voted to assess each potential new regulatory requirement separately; only Chairman Jaczko voted to move forward more expeditiously. The bottom line is that the majority decision in this case could potentially undermine the NRC’s ability to promptly address critical safety vulnerabilities at U.S. plants that could well result in a Fukushima-scale disaster occurring here.